Tomorrow it will be too late to plan and too late to pack. Tomorrow, the dragon route begins. Through hard work and a healthy sprinkling of good luck, I get to travel a lot. More than a lot as my family would say, not to mention the various visa centres I’ve traipsed through as fingers and thumbs have searched for the last few empty pages in my passport. 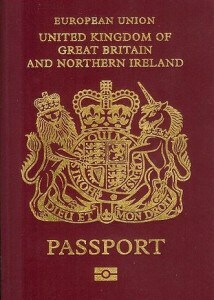 A passport that lost its gilded unicorn on the front page a long time ago. “So you’ve seen everything now and you’re going back twice,” someone said as I returned to old friends Toronto, Morocco and Mexico last year. Well, hardly. The world is still so big. And despite my fondness for cupcakes, I am still small. Yet, this time something feels different. This time, the day before tomorrow comes and I can’t sit still. I’m restless. Distracted. Drinking far too many cups of tea. Could it be that I’m excited? Or perhaps there’s something else. There’s a chance that I feel nervous. A sliver of a shiver as I step into the unknown. I’m not sure if it’s an old friend but I certainly remember it well. I suspect that you do too. It’s the feeling, that feeling, before your first journey overseas. It’s the pulsing in your fingers and slight buzzing in your ears. It’s not quite panic and it’s not quite joy. It’s a cocktail of expectation laced with an undercurrent of fear. It’s the bubble of half-heard myths all jumbled together, the photos, the films, the stories and the bureaucratic language of the Foreign and Commonwealth Office. It’s the recent sting of vaccines, the dashed scribbles on the to-do list and the omnipresent “finger cross” that you’ll get to the airport on time. It’s knowing that it all could go wrong, yet hoping for something to blaze into your life. Hoping for something wonderful. It’s the start of a new adventure. And it’s finding, after all these years, that there still is adventure to be found. Time may have wiped the unicorn from my passport. But that doesn’t stop me searching for dragons. Wish me luck – and follow me – as I head out on the Dragon Route. Reading rates are falling. But should we even care? 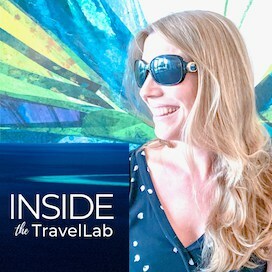 Why do people travel? 25 Reasons or is there just the one? I totally know what you mean. The night before a big journey I vacilate between panic and excitement and joy. I’m never quite sure which emotion I am feeling more strongly. I truly don’t relax until I arrive at my destination. All part of the experience I guess. Glad to hear I’m not the only one! Luckily, so far, so good and I’m feeling much more peaceful! Good luck! My passport no longer has a unicorn on it either. Sad. The bigger question, I suppose, is why there was ever a unicorn on the front to begin with! Still, at least lost unicorns mean we’ve travelled plenty! You summed up how I feel before I set up on a new adventure perfectly. I never use to feel this way, as I started traveling at a young age. Back then it was all excitement before a trip. But as I get older and wiser (I hope), I’ve learned the world isn’t all butterflies and puppies. 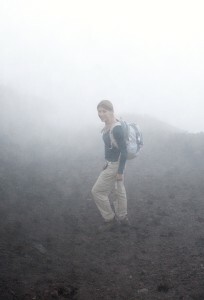 I think a healthy amount of uneasy before starting into the unknown is a good thing. I agree. I’m sure the younger me would have just said “just go for it!” but now I know that things can and do go wrong. A healthy amount of preparation – and then go for it! Happily – all did go well too. Thank you! Perhaps it’s because usually if something goes wrong in a day we can muddle on through and it doesn’t cost us much (in either time or energy.) But if you miss a flight or arrive on the other side of the world only to remember that you DID leave the oven on…Well, it’s trickier to fix! 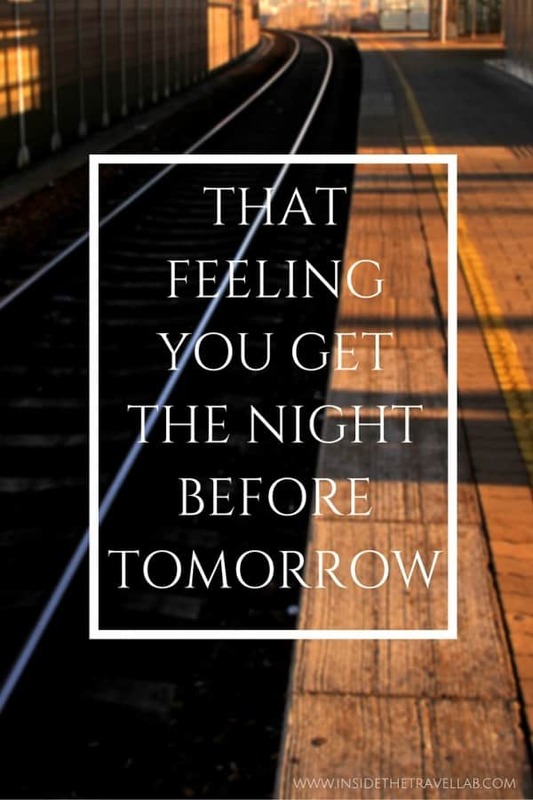 The night before tomorrow is just a word lack i cant find rigtword todescribe it but its true u cant sleep that particular night due to exitement and joy. Glad you understood what I meant! As if the anxiousness and excitement of my upcoming year-long RTW journey wasn’t quite enough….